Every year the holidays sneak up on me and every year I'm scrambling to find thoughtful and quality gifts for my family. This year there are five tots under the age of four so I really need to get a solid game plan about what to buy these stinkers. Maybe it's the teacher in me but especially for kids at this age I like to find appropriate gifts based on their age and milestones. Right now Lola is a moving machine! 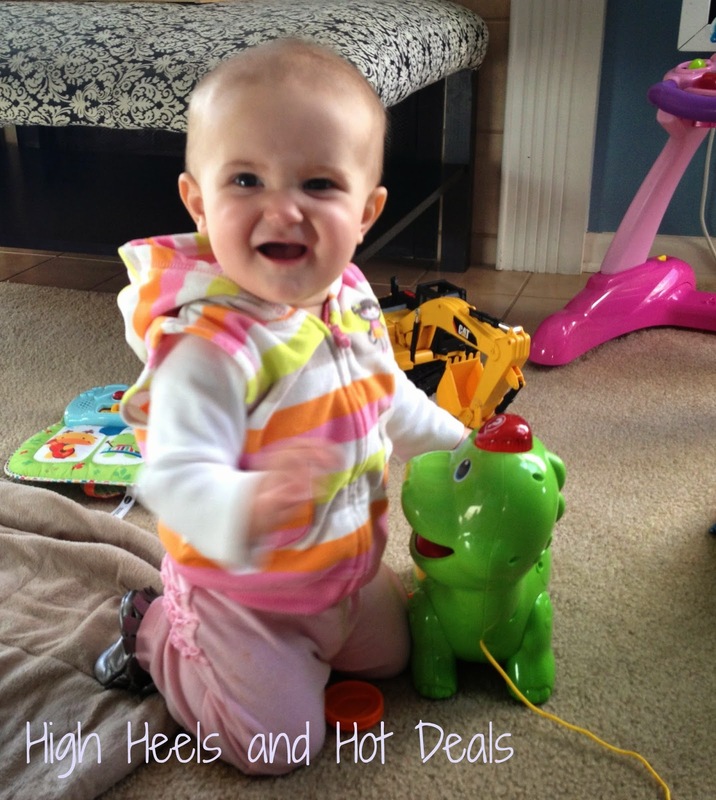 She is all about standing and cruising along furniture and has taken few steps. She also loves to stand and clap for herself since she knows she's big stuff. Recently Lola has started communicating with me through some baby signing for things like "more" or "all done." She is also showing a huge interest in everyday tasks like passing me clothes that need folded, holding her shoes when they need to be put on and even drawing on paper with crayons. Since I'm aware of where Lola is at physically and socially with her milestones, being able to purchase her gifts to foster these developments is a key element with my gift buying. I start with the brand that I can trust and that would be VTech of course! VTech has worked closely with a panel of children's learning experts on the developments of its infant and preschool learning products. Insight from these experts are featured in an online Milestones resource that offers parents guidelines and recommendations to help them select toys based on the individual needs of children from birth to nine years old. 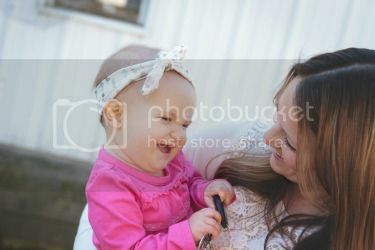 The categories explain characteristics and occurrences that your child is faced with at each specific age and developmental stage. Then they are followed by recommended products that are appropriate and most beneficial for each age group. Dr. Lise Eliot, an Early Childhood Mental Development Expert, is an Associate Professor of Neuroscience at The Chicago Medical School of Rosalind Franklin University of Medicine & Science. As part of this panel she has great insight and explanation of the Milestones, so be sure to check out her video! We gave this to Lola for her birthday and it quickly became one of her favorites! She seems to really show interest in the animals and the animal sounds. I love the fine motor skills practice that she gets by pressing buttons and turning little knobs. The element of surprise still gets her every time one of the little flaps pops up, which cracks me up of course. 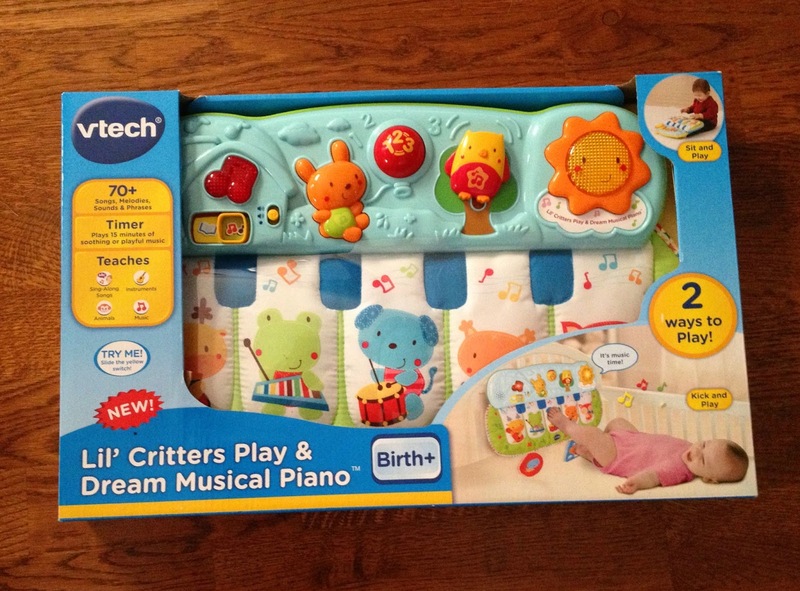 This is by far one of my favorite VTech toys for Lola! She loves the music and is intrigued by the play pieces you feed the dino. Lola will find the pieces and hand one to me to put in the dinosaur's mouth. Then she pushes the little piece into the mouth and grabs them out of the tummy to start all over again. Cohen even likes to play with this toy with Lola. He will pull the dino around on the string as Lola crawls after him to catch up. 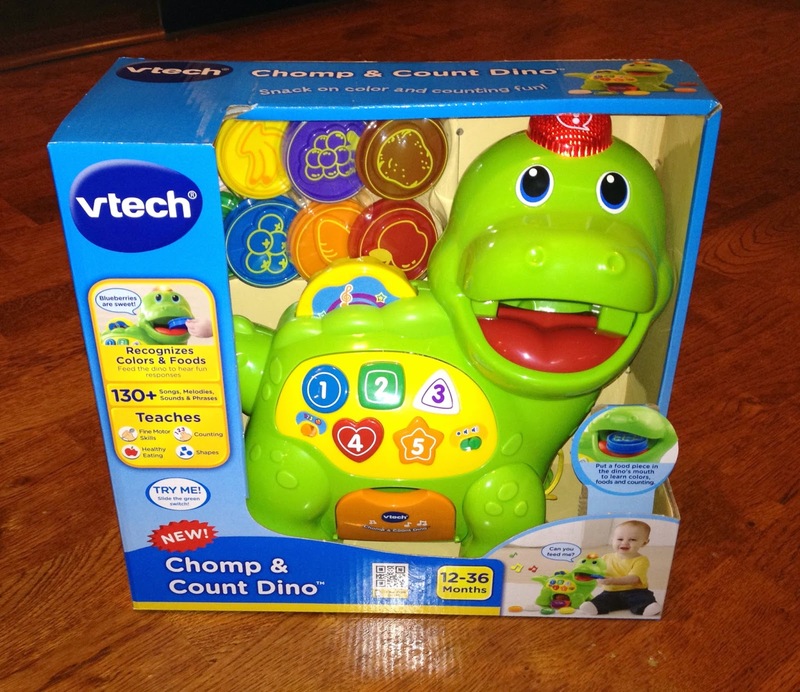 The Chomp & Count Dino is a definitely a toy that your kids can grow with throughout the years. I truly love the variety that this piano has to offer. This would be a perfect toy to put on the ground to encourage tummy time. Lola enjoys pressing the buttons and watching them light up and play music. Currently we have this piano attached to the side of her crib, which has worked out great. In the morning I can see her playing away and keeping herself busy before it's time to get out of her crib for the day. This is another toy that I would say can definitely grow with your child through several developmental stages. 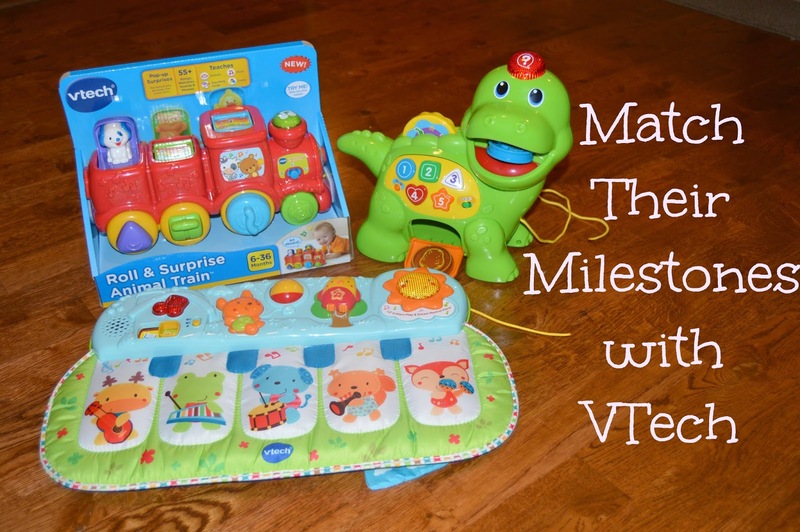 I'm really excited to start purchasing gifts for my nieces and nephews using the Milestones resource from VTech. I know that my gifts will be meaningful but also encouraging their development throughout their different milestones. What milestones have your little ones reached recently? 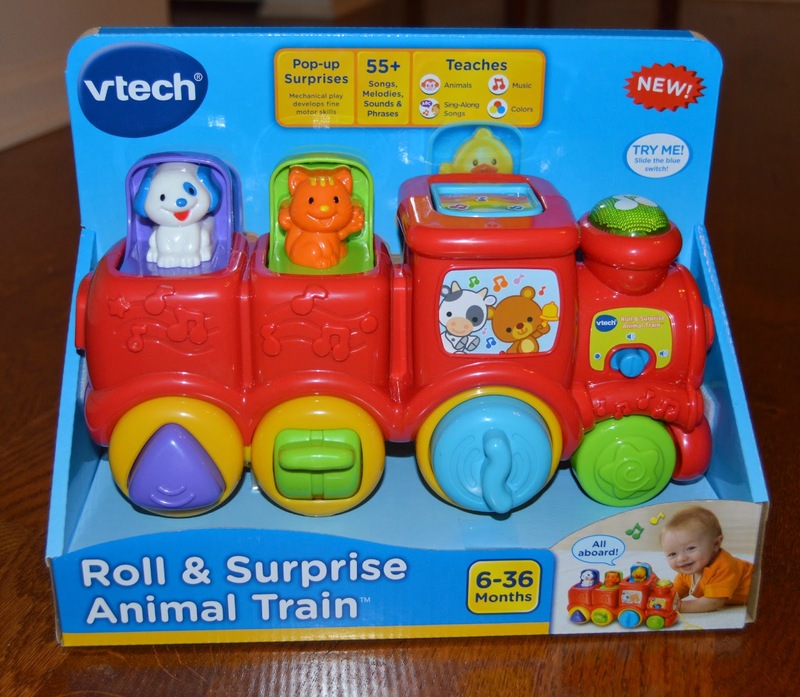 One lucky winner can win all three of the VTech products I listed above! Enter the Rafflecoptor below for your chance to win. I don't have children yet (well- I have 20 kindergarteners!) but I think toys like this are so great for little ones. I would definitely love something like this to keep away for when we do have children!